I've always loved herbs but over the past year I have become somewhat passionate about cooking with them. If I'm not able to cook with fresh cut ones, I use ones I've flash frozen or dehydrated myself. I wouldn't know where to begin with comparing all the differences in herbs you've grown yourself over store purchased ones..so I won't :) But once you try the difference, you'll get a taste of why this is a newly discovered passion for me! 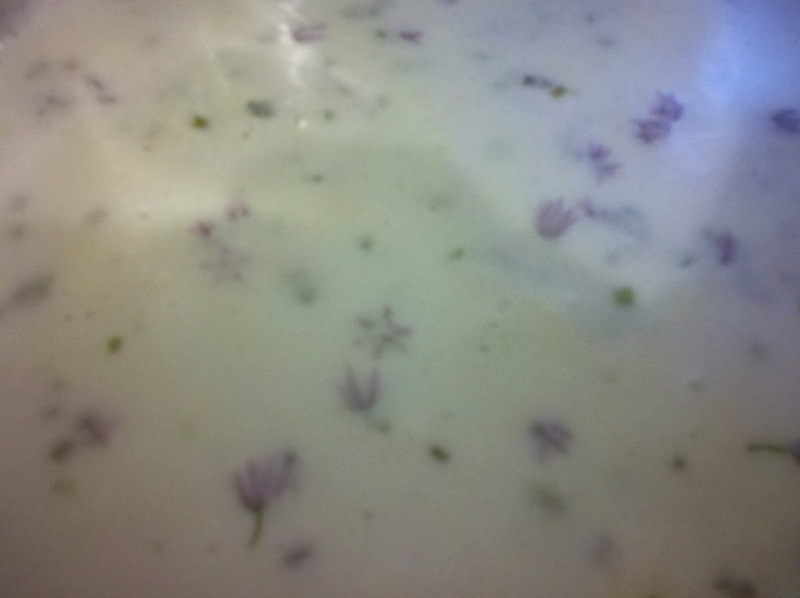 Whipping up a simple potato/milk based soup - I added fresh parsley, chives, the blossoms & celery that I dehydrated. 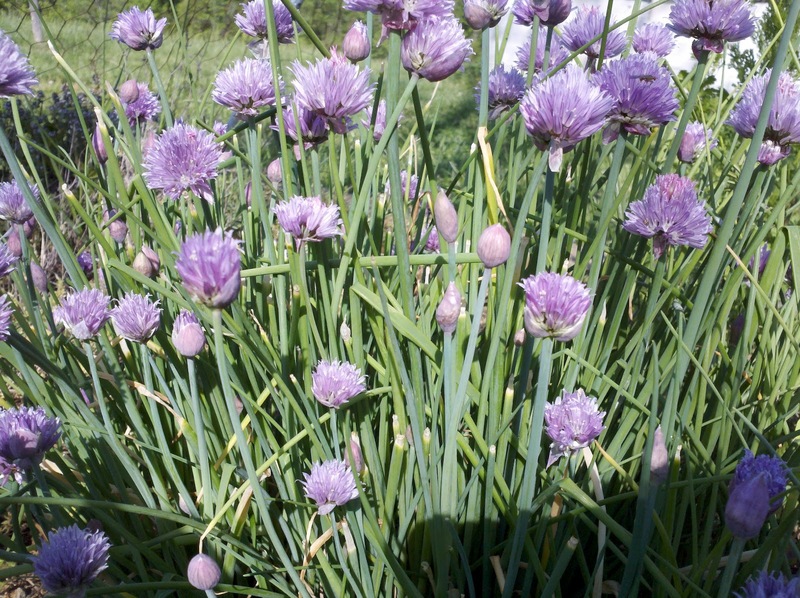 If you haven't tried chives blossoms yet...you won't be disappointed when you do. 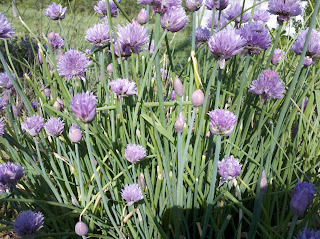 They add a completely different taste/texture to your dishes than the chive itself and that touch of color is stunning! 5 large potatoes - peeled/diced and put in a stock pot. Fill with just enough water to cover the potatoes. Cook until potatoes are soft and water is nearly gone. On low heat, stir often and simmer for 20-30 minutes while adding your herbs: I used parsley, chives, chive blossoms, celery. If you like a heartier soup, you can thicken with a bit of flour. Garnish with a few chive blossoms and serve! house dog to farm dog..